Delaware Seaperch robotics connects students, mentors, and schools and the community to successful and engaging technology-based programs, with support from Delaware State University, Delaware Technology Student Association the Office of Naval Research (ONR) and managed by The AUVSI Foundation. Delaware Seaperch is committed to promoting engineering and technology focused opportunities to advance the professional and technical skills of students. Delaware Seaperch Registration – Registration Includes: Free attendance to the Seaperch Contest Kickoff hosted by Delaware State University and the US NAVY on 0/23/2017 in the MLK Multi-purpose Room from 5-7 pm; free refreshments; a free team registration; a free tool bag, and a free robotics kit per school/sponsor (example: Scout troop; Boys & Girls Club, 4-H etc.). Attendance and registration for the Seaperch Contest Kickoff Event is required to receive the free kit. RSVP today and attend the Seaperch Contest Kickoff on 10/23/2017 Delaware State University (MLK Multi-purpose Room from 5-7 pm to receive a ;FREE Seaperch kit to use with your students! Additional kits, supplies, and grants may also be available here. 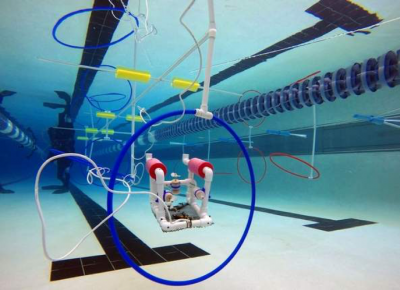 To learn more about Delaware Seaperch Underwater Robotics, please contact Mike Fitzgerald at mike.fitzgerald@doe.k12.de.us or click here.